We are delighted to bring you the latest recorded presentations and slides from three BANT Regional Branch events that took place at locations across the UK. The events featured high quality speakers presenting on various topics including the treatment and management of autoimmune conditions,, the role of diet and lifestyle on inflammatory pathways and nutritional intervention for Alzheimer’s disease. The events were highly rated by the majority of attendees. This week we give you the link to the recent BANT student webinar that we really enjoyed, we highlight a study on probiotics to help improve cognitive function, and bring your attention to a fascinating FREE seminar run by BioCare about the nervous system. In case you missed the free BANT student webinar on Monday 14th November you can click here to watch it. Don’t miss out – it was a really useful hour (and ten minutes) about the value of nucleotides, given by Rachel Hoyle: ‘Putting you in the picture about nucleotides and their role in human health – Nucleotides, Nutrition’s best kept secret’. A new study from Iran, published in Frontiers In Ageing Neuroscience, studied the effects of Alzheimer’s patients consuming Lactobacillus acidophilus, Lactobacillus casei, Lactobacillus fermentum and Bifidobacterium bifidum in milk for 12 weeks. The randomised, double blind, controlled study discovered that the cognitive function in the probiotic group improved, as well as markers such as high-sensitive C-reactive protein, VLDL and triglycerides. This may have positive implications for us students! Click here to read the study. Alessano Ferreti has been giving a fascinating seminar: ‘Nervous Breakdown: Key Factors in Nervous System health’ at various venues around the country. It’s coming to London on 3rd December and it’s FREE! The seminar, running from 10am – 4pm, will give new insights into how to bring a holistic, Functional Medicine approach to support stress. Click here to read more. Welcome to the November issue of BANT ENews, this month’s focus is on bariatric surgery and how nutritional therapists can support clients considering or undergoing this procedure. Satu Jackson, our Operations Director provides an overview of BANT activities from the last quarter and Tracey Harper shares her experiences of being a supervisor and a supervision group member. This month’s spotlight on the Website focuses on the improved BANT Practitioners Search function. Happy reading! 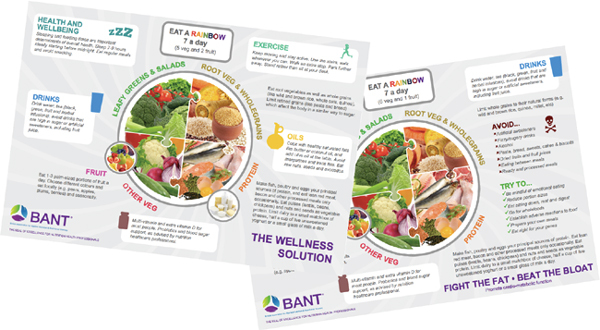 Welcome to the November issue of BANT ENews, this month’s focus is on bariatric surgery and how nutritional therapists can support clients considering or undergoing this procedure. Satu Jackson, our Operations Director provides an overview of BANT activities from the last quarter and Tracey Harper shares her experiences of being a supervisor and a supervision group member. This month’s spotlight on the Website focuses on the improved BANT Practitioners Search function. Happy reading!. Access the BANT news here. The annual request for Fellow member applications is now open for 2017. BANT wishes to recognise those members who have made a significant contribution to the Nutritional Therapy profession or have advanced the practice of Nutritional Therapy by inviting applications for the category of Fellow Member of BANT. In this bulletin we look at the research on the benefits of omega-3 fatty acids, we give you information on the up-coming webinar that we’re really looking forward to and the super quick, brain boost, guilt-free snack recipe to power you through this hectic end of term time. Join us for our next BANT Student Webinar on ‘Putting you in the picture about nucleotides and their role in human health – Nucleotides: Nutrition’s best kept secret’. The webinar will take place on Monday 14 November from 7.30-8.30pm. The webinar is free and exclusive to BANT student members! To book you place please see the email we recently sent you or contact the Student Webinar Team at studentwebinars@bant.org.uk. For those of us facing end of term exams and assignment deadlines here’s the quickest, simplest brownie recipe you’ll ever see! Its choc-full of magnesium and flavanoids which have been linked to improved cognitive performance (Nehlig, 2013). For extra nutrition add chopped walnuts (omega-3 and omega-6 fatty acids) into the mix or whatever you fancy, enjoy!